The gapTCO tool is an intuitive, graphical user experience designed to allow simple and easy analysis of the Total Cost of Ownership of printer and MFP devices. 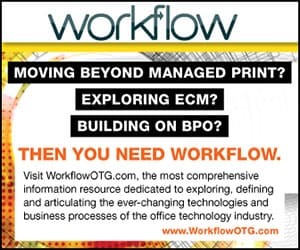 This month’s installment compares the HP PageWide Enterprise Color Flow MFP 586z, the HP Color LaserJet Enterprise Flow MFP M577z, the Lexmark CX725de, and the Xerox VersaLink C505X. 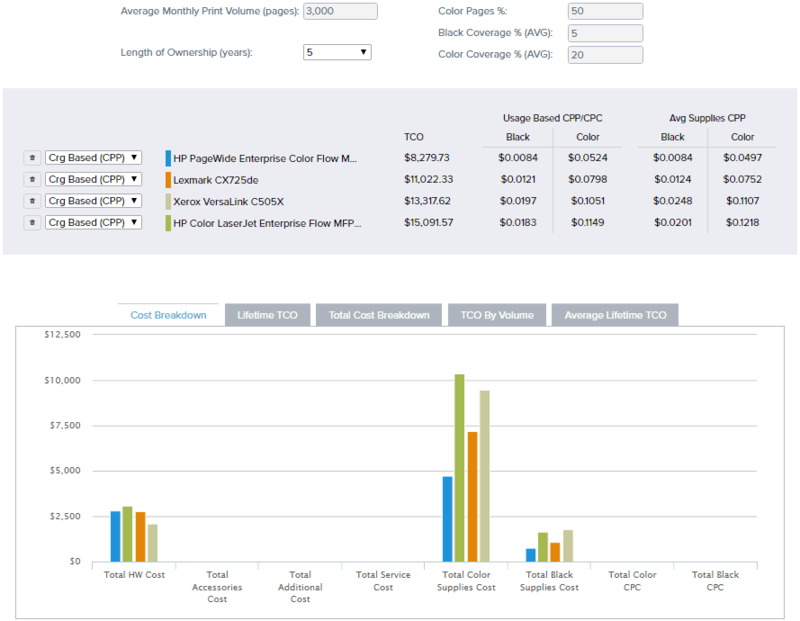 The HP PageWide Enterprise Color Flow MFP 586z is the winning product with the lowest TCO of $8,279.73, followed by the Lexmark CX725de with a TCO of $11,022.33, the XeroxVersaLink C505X with $13,317.62, and the HP Color LaserJet Enterprise Flow MFP M577z with $15,091.57. 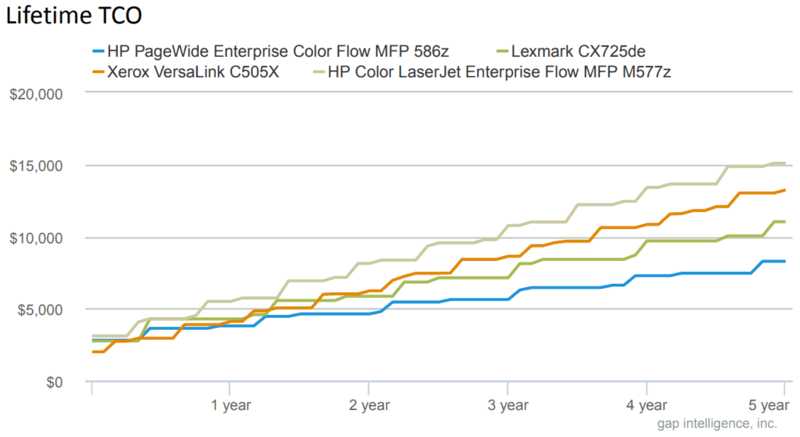 The HP PageWide Enterprise Color Flow MFP 586z and the Lexmark CX725de offer the fastest print speeds at 50ppm, followed by the Xerox VersaLink C505X at 45ppm and the HP Color LaserJet Enterprise Flow MFP M577z at 40ppm. The Xerox VersaLink C505X has the largest standard input tray capacity at 700 sheets, followed by the HP Color LaserJet Enterprise Flow MFP M577z and the Lexmark CX725de at 650 sheets, then the HP PageWide Enterprise Color Flow MFP 586z at 550 sheets. 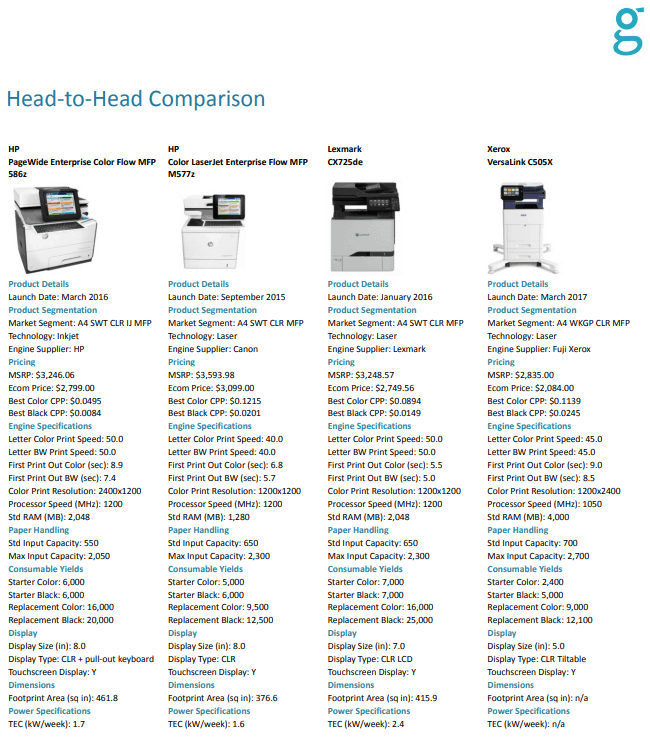 The HP PageWide Enterprise Color Flow MFP 586z is the only device in the comparison to use inkjet technology, while all other devices user laser marking technology. The largest-size color touchscreen displays are offered by the two HP devices at 8-inches, followed by the Lexmark CX725de at 7-inches and the Xerox VersaLink C505X at 5-inches.